RIVERSIDE, Calif., July 15, 2008 -- Fleetwood Enterprises' RV Group, a leading producer of recreational vehicles, announced the launch of its Power Bridge Chassis(TM), a brand new diesel chassis platform, during the Family Motor Coach Association's (FMCA) summer rally in St. Paul, Minn. on Monday, July 14, 2008. Power Bridge Chassis is an integration of Fleetwood's superior bridge-beam framing technology and Freightliner's outstanding chassis construction. Highlights include 242 cu. ft of basement storage space (select models only); smarter, more functional features; and an industry-leading ride. "The idea for Power Bridge was born out of the proven technology used on our Liberty Chassis," said Paul Eskritt, President of Fleetwood's RV Group. 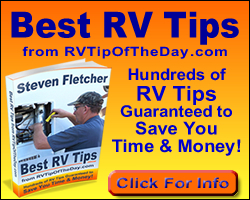 "It is a major re-design that offers our diesel customers a wide range of features intended to exceed all of their expectations, as well as change the way they RV ... for the better." The list of standard features on Power Bridge Chassis includes massive pass-through storage with side-swing luggage doors, a convenient patio storage center, and a centralized utility center. Optional features include exterior BBQ grill and kitchenette and sliding storage trays. The fresh water and fuel tank capacity were also increased to 105 and 100 gallons, respectively. Power Bridge Chassis is available on all 2009 Bounder Diesel, Expedition, Discovery, Providence and Excursion Class A diesel motor home models. Models built on Power Bridge Chassis feature Cummins(R) diesel engines (size and horsepower vary) and can tow up to 10,000 pounds. 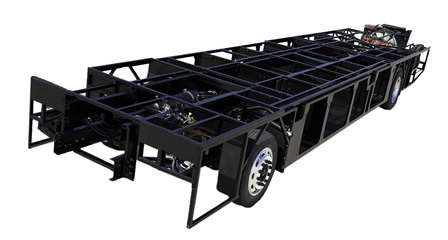 For more information about Power Bridge Chassis, call 1-800-322-8216 or visit http://www.fleetwoodrv.com/powerbridge.